I think I have mentioned before that I suffer from depression. I was diagnosed with recurring suicidal depression in my second year at university. At times my depression has been horrendous but at other times I am completely happy and content with my life. I have to admit, that during the past few weeks I have been struggling. This is all my fault! When you’ve suffered from depression for a long time you have to be very conscious of your actions in life (I am sure this is the same for any illness). There are questions that I need to ask myself on a regular basis; these are questions about my physical and my emotional state. Am I getting enough fresh air? Am I looking to others to give me self-esteem? Am I worried that I’m missing out on things? Am I getting less tolerant of others? Am I trying to be perfect at everything? Am I comparing myself to other people? In the past, the answers to these questions have meant that I was extremely ill. At the moment, they mean that I need to look after myself better and that I am feeling fragile. At the grand old age of 36 (gasp!!!) I have been living on the long and winding road of a life with depression for a good number of years. I know the signs that I’m getting low and I know what I can do to help myself. But helping myself is all about will-power. It is about growing my self-esteem and trying to feel happy in my own skin. It is about not comparing myself and my life to other people. It is about allowing myself to be human and to make mistakes. It is about realising that the world won’t end if I go to bed. I don’t need to stay up past 2.00 a.m. buying clothes for Little Miss H on the Mothercare website (yes, I’m ashamed to say that I have done that in the past). It is about making myself take Little Miss H for a walk even though I would prefer to curl up on the sofa with her and take a nap. It is about exercising when it is the last thing that I feel like doing. It is about eating a banana rather than the largest chocolate bar that Cadbury make. It is about putting on a dress and some make-up. Even if I would love to slob around in my 17-year-old hoodie and a pair of leggings. So tomorrow I need to start looking after myself. I need to stop being a silly Mrs H. Thankfully I’ve done it before and I know that I can do it again. Wish me luck! PS. I originally wrote this post back in November 2013. It was the first time I had truly written about my depression in my blog. It is a post that is very important to me and that I am proud of. For that reason, I decided to re-write it and re-publish it. I hope that my story and experience can help others. Great post and resonates strongly with me. I blog on this topic a lot and what I have realised is that I need to manage myself when well, exactly like you posted. When in the grip of depression episode, I’ve got to ride it out. If I feel The Slide, I up my management game, try to find the balance. Thanks for posting your experience on this. Be kind to yourself. I was only thinking yesterday about writing a post on triggers for long term depression sufferers. I’ve been noticing the signs of late in myself that I know means a dip is on the horizon. A brilliant post. Hope things are going well for you at the moment. I’ve just discovered your blog and I’m really pleased I did, it seems it will be right up my street since I’m also a mum who struggles with depression and anxiety. I blog about my experiences with PND and subsequent periods of anxiety and I would love for you to check it out if you have time. I plan to link to Sunday Stars too now I’ve discovered it. 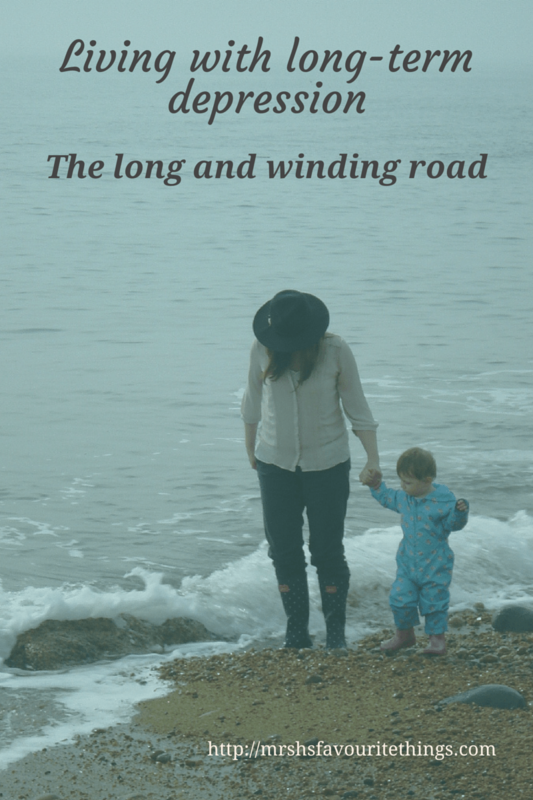 Congrats on your blog and well done for sharing your experiences regarding depression and motherhood. I can identify so much with what you say. It’s so important to ask ourselves these questions every once in a while and take action when necessary. It’s too easy to slip into bad habits when living with any mental health condition, this is such a great reminder to take a step back and evaluate where I am with my own depression, thank you. I know this all too well. Thank you for being brave enough to write about it. People will still bring up posts I’ve written about depression and anxiety years after they’ve been published. Your words will help more people than you know. I am a first time visitor to your blog. This post is amazing and brave! I am a nurse with many years in the mental health field and I know that I suffer from depression myself. I am new to blogging and have wanted to write on this topic. I haven’t been able to face my fears and talk about it to the world. There are many people in my life that would never expect that I suffer from it. I have been medicated for the past year and it has helped tremendously but I still have really bad days. Thank you for this little encouragement. Maybe I can start writing about. May be awhile before I can post it but just writing the words will be a huge step! Thank you! This is a lovely and brave post – it can be so hard to admit when things aren’t quite right. I can really empathise with alot of what you have said, I’ve certainly had my own problems. Best of luck for the future. Firstly, well done for writing this. It is an illness, and having the strength to help yourself get better is brilliant way forward. I suffer from generalised anxiety disorder, and used the Mind Gym to help me be more mindful and not get myself in scenarios where I can’t even get out of bed. So pleased you wrote this post! And we’ll done for doing it. All the questions you raise are exactly what I do. It’s a good list. To have it for so long makes our lives a rollercoaster of highs and lows and that can be draining in itself. Not everyone will understand but doing post like this will help so many!! Steph, you are wonderful. Your comment really touched me. It made me quite emotional. I am very lucky to have such wonderful blogging friends. Knowing that I suffer from depression is scary. I never want to go to the terrible place I visited in my 20s. I never want Little Miss H to see her mum like that. I know my life is very different now but I also know how easy it is for thoughts and emotions to spiral out of control. It is right that I take positive steps to make myself feel better. And writing posts like this helps. For years my depression controlled me but now I control my depression. It makes a profound difference to my life. Hugs Mrs H xxxx PS I love you. Mrs H, in my humble opinion you are a brave, beautiful, talented, caring and wonderful person. I know you have a sensitive side and suffer these dark days but please, please try and remember my words because they’re true! And you owe it to yourself and you family to believe in yourself and love yourself. great post its brilliant that you are conscious of the things that can effect your depression and are making sure you stay on the happy positive track! Hi Ashley. Thanks for your lovely comment. Being kind to myself is very important. It is so easy to see all the things that go wrong and forget about all the wonderful quirks of life. That is why I began this blog to remind myself of what makes me smile. I hope it makes others smile too. Hello Paula. Thank you for your lovely comment and for coming to visit my little blog. Sadly I’m always going to have depression. That is just a fact of life. But I can manage it and look after myself properly and that helps. I hope you are well and that the t-shirt is currently in storage. I know I am commenting on #ArchiveDay, so things have probably changed – as they do, whether we fix our “faults” or not. But support is always worth having on this journey. And been there, done that, have the t-shirt. Luck, and love, from one of the 1 in 4.